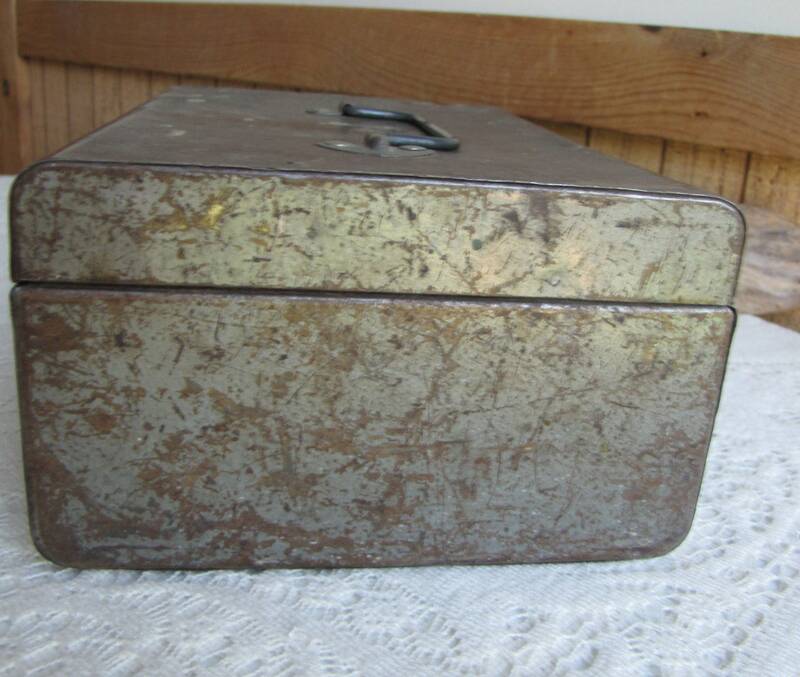 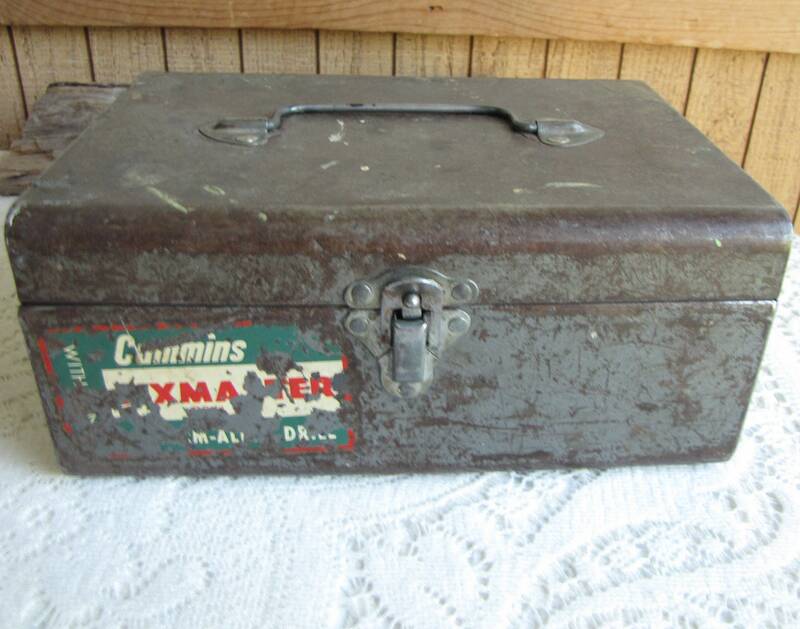 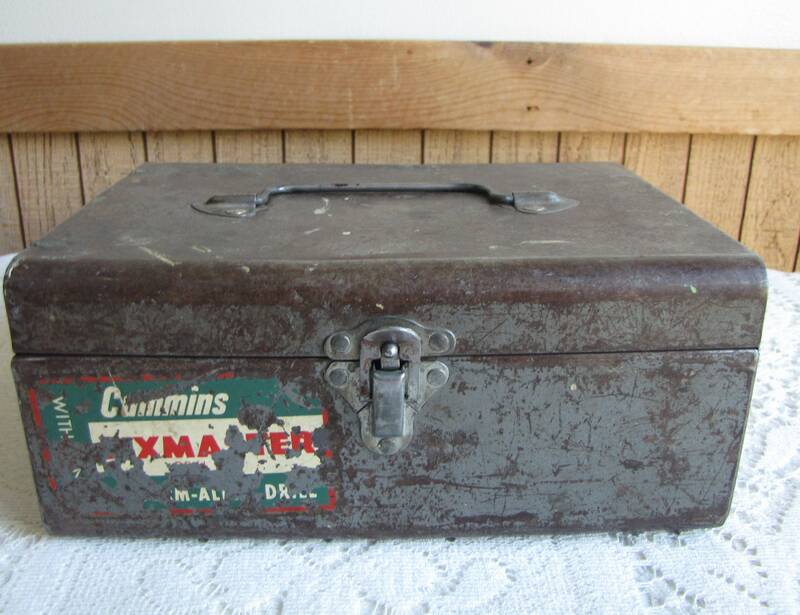 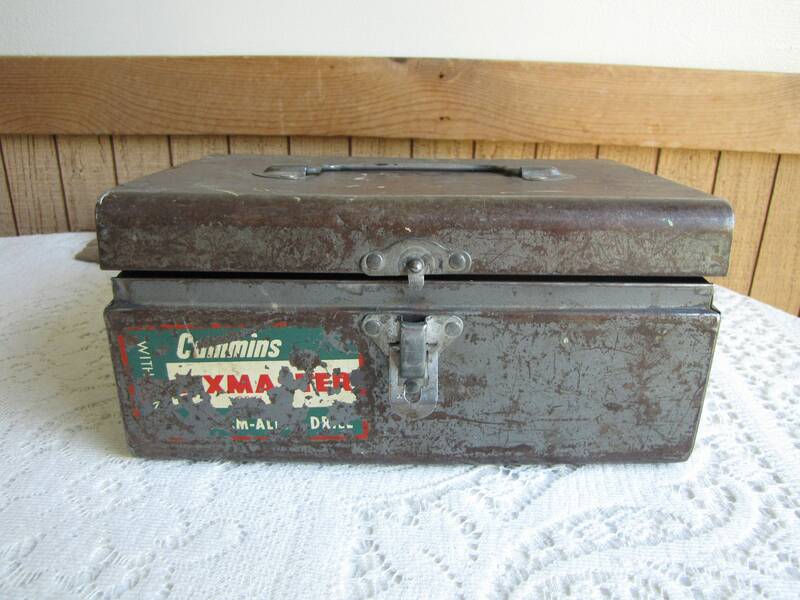 This is an old metal tool box that has a partial sticker on it from Cummins Industrial Tools. 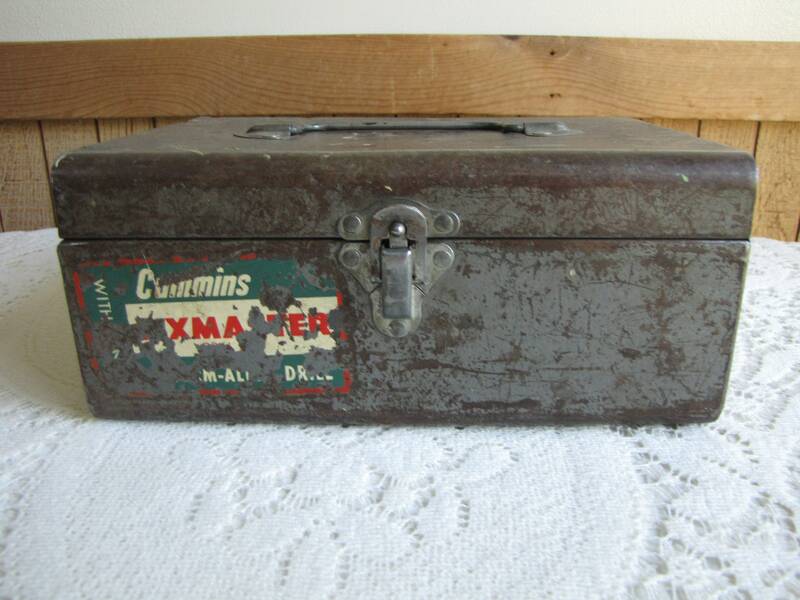 I believe this is a drill storage box. 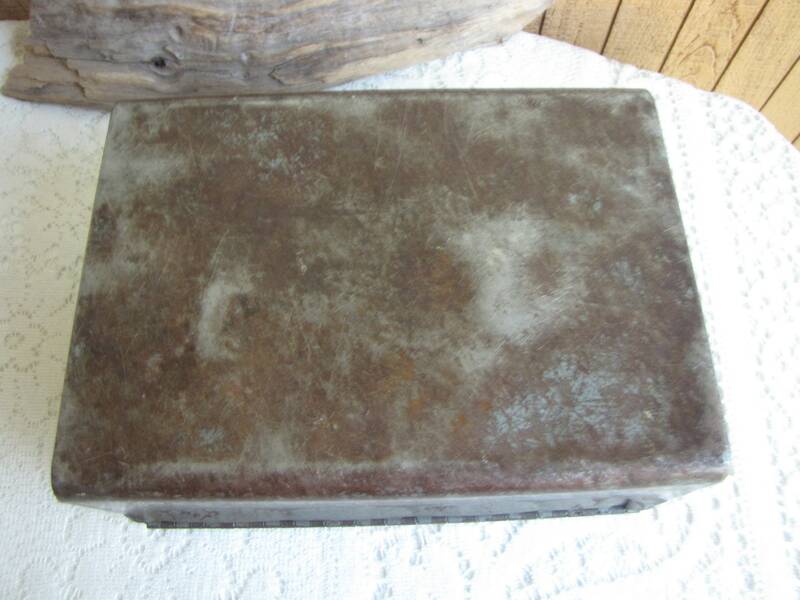 The box is beat up a bit with one side a little dented (see pictures) and the back of the box has been pushed in across the bottom of the hinges. 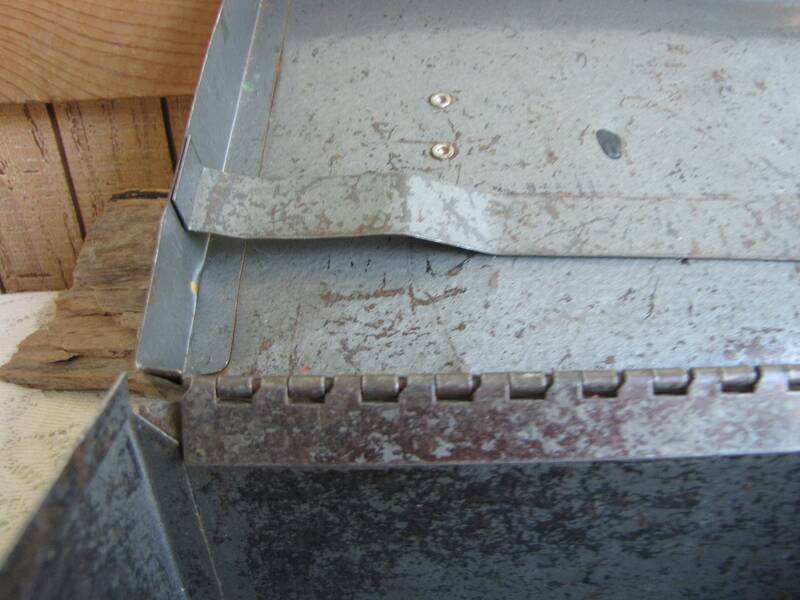 But it closes well still. 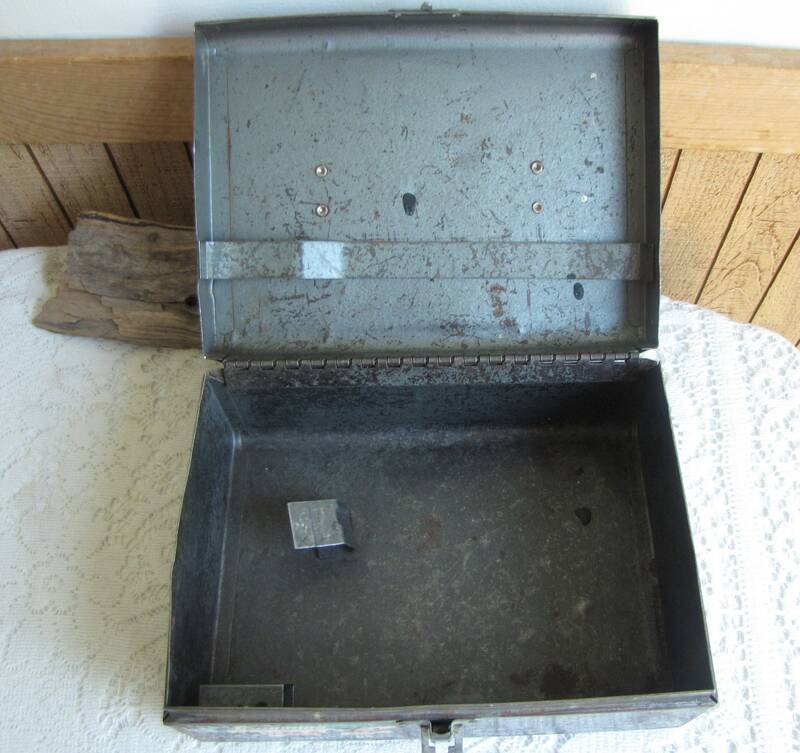 The box measures 4 inches tall and is 9 x 6.5 inches. 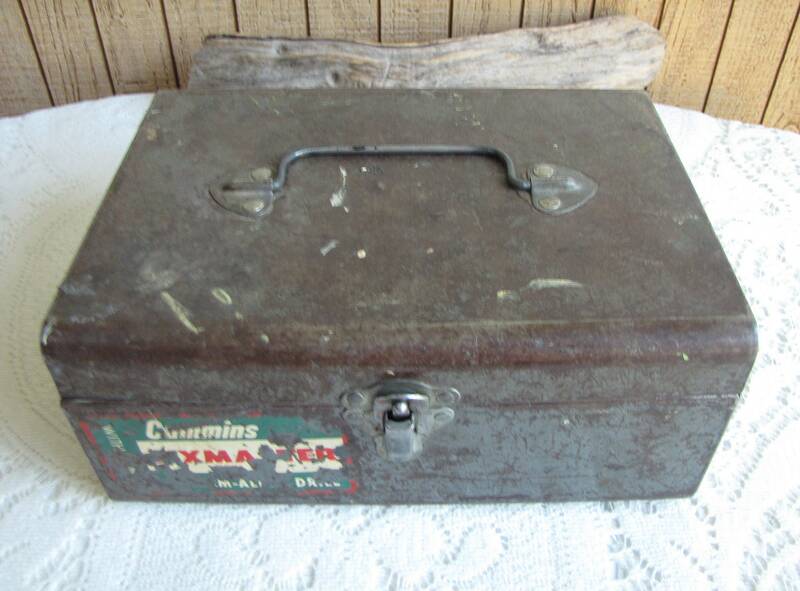 Cummins Industrial Tools was open in the late 30s and was closed in the 1980s. 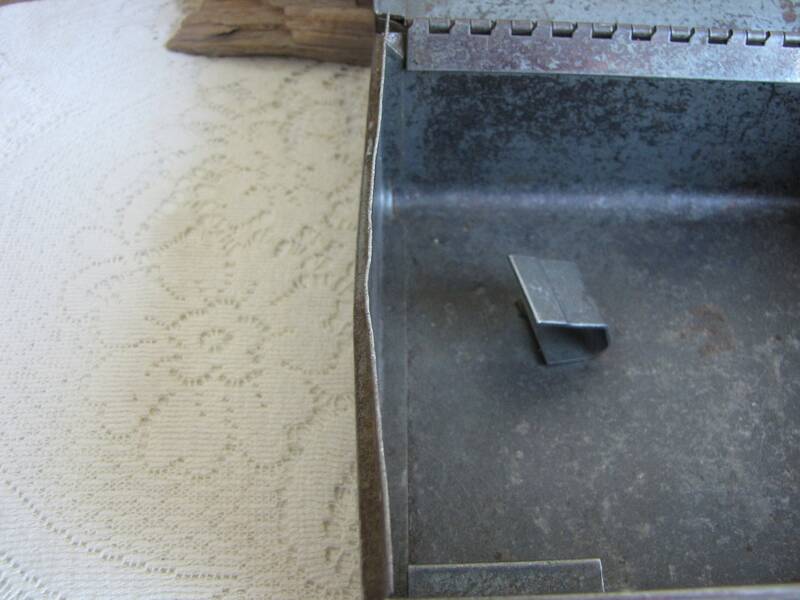 The name was sold off and manufacturing of the tools moved overseas and the quality of the product was diminished.